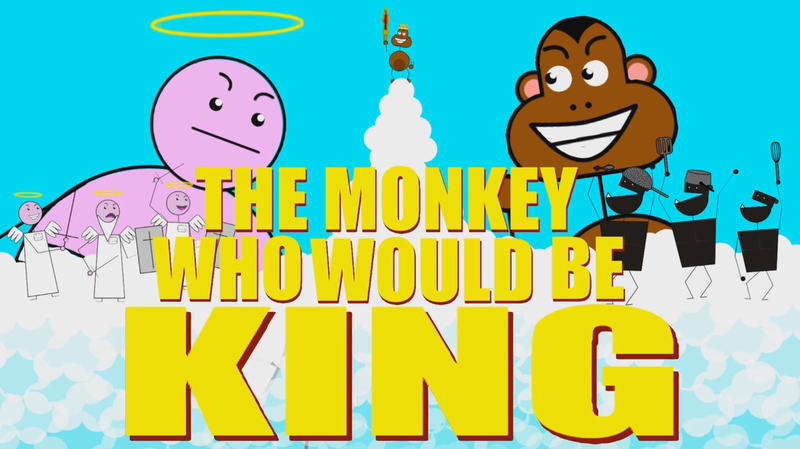 Adamation: The Monkey Wh-ITS FINISHED!! "Showing in all cinemas, except that one." (Finally he can stop using that awful pun on the title) Yes, yes I can, because the trailer...is finished!! I am terribly proud of this, so proud I think I'm getting myself a celebratory biscuit after I've typed this. The animation is done, the voices recorded, the sounds levelled and the jigglier...jiggled. :3 We've had confusion, headaches, software problems and uploading issues but finally, we can sit back and watch a 1 minute piece of animation which I'm very happy with. 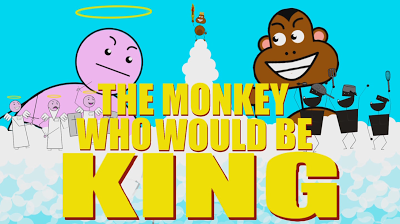 :3 Its time to roll out the red carpet as we sit and watch the Final Trailer for "The Monkey Who Would Be King"